All websites need a tune up after existing for some time. 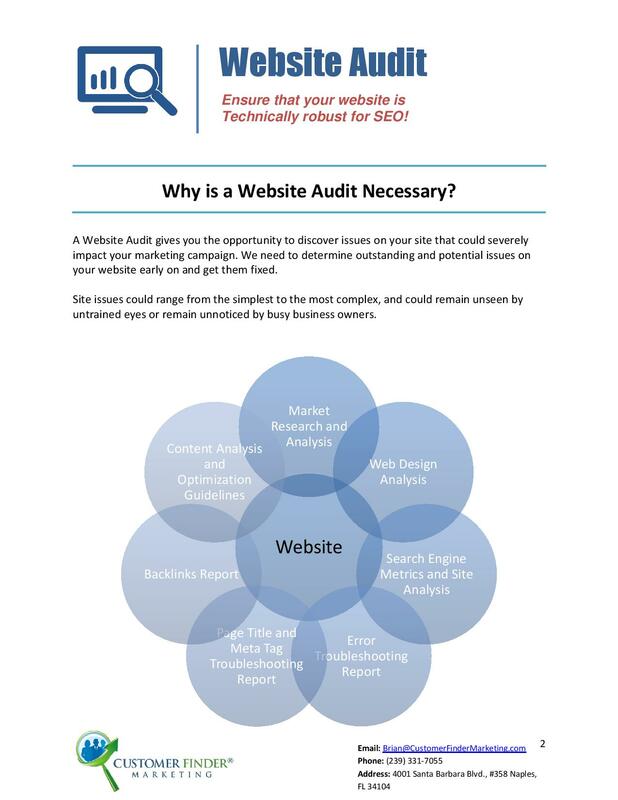 We provide a Website Audit to find and recommend fixes of the issues that develop on websites. And every website will have some these issues develop at some point. Yes, your site can be ranking very well on Google one day and the next may not even show up when people try to find your website. 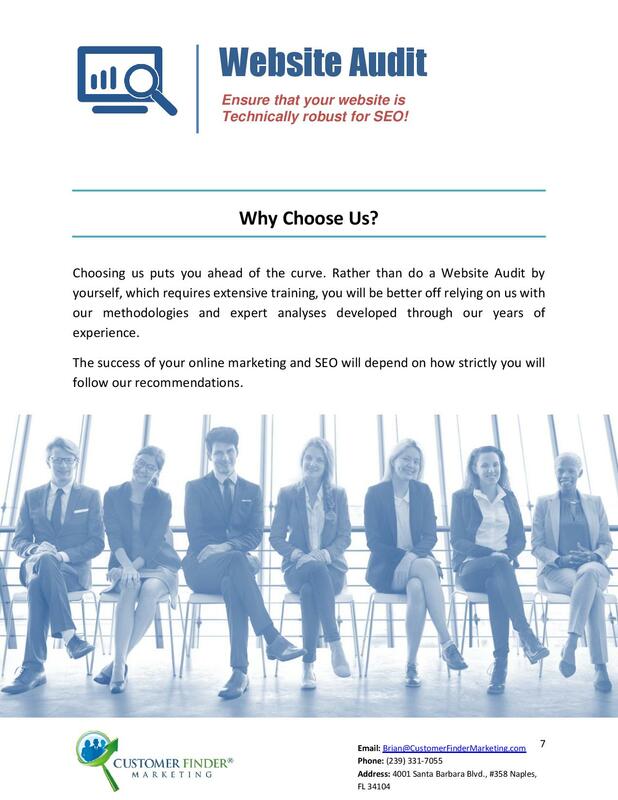 Google and the other search engine continually change the way they measure websites and if you don’t have someone like our company watch out for you, your website may be a liability to your company instead of an asset. 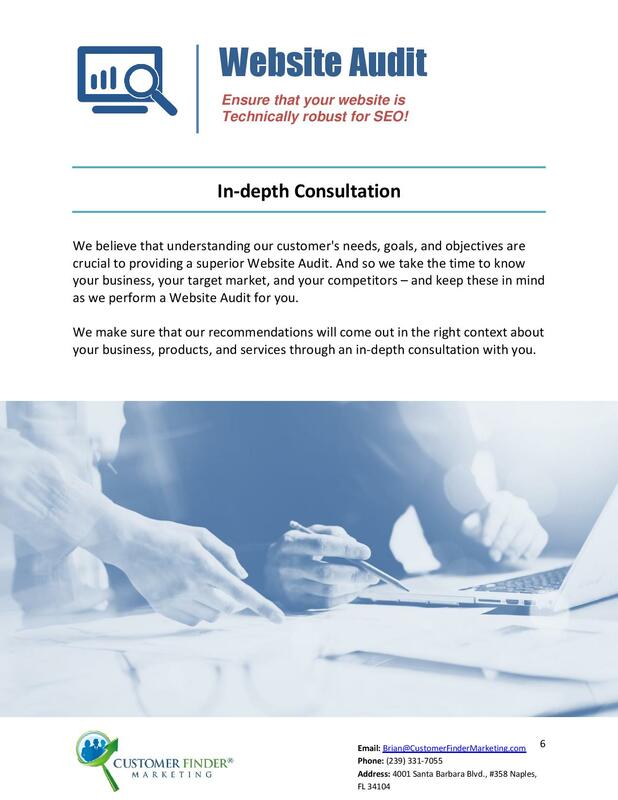 So our 20 page comprehensive periodic Website Audit Report is a must – especially if your business is not getting enough customers going to your website to find out more about your company. 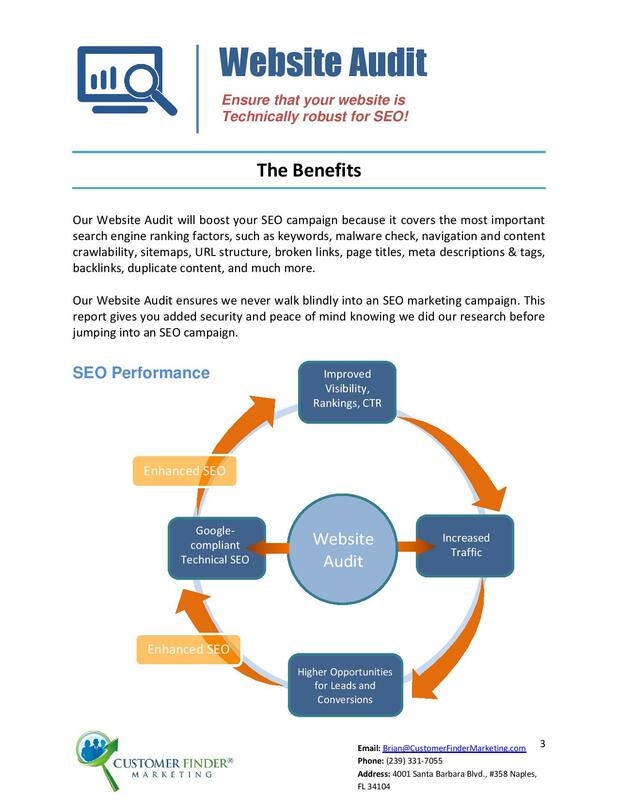 Now when you get our Website Audit, your websites gets a professional analysis and review. We check out all of its content and find out if someone else has copied and “stolen” your content that is on your site. We check your inbound links to see if they are from other sites that Google may consider undesirable or dangerous to be associated with – in regards to ranking your site above your competitors. If you don’t feel totally happy about your website and how it has been performing for you, we recommend this service before you start to do any search engine optimization (SEO) or content marketing – because you will just waste your money and not get good results. Because the major problem may be with the website itself. 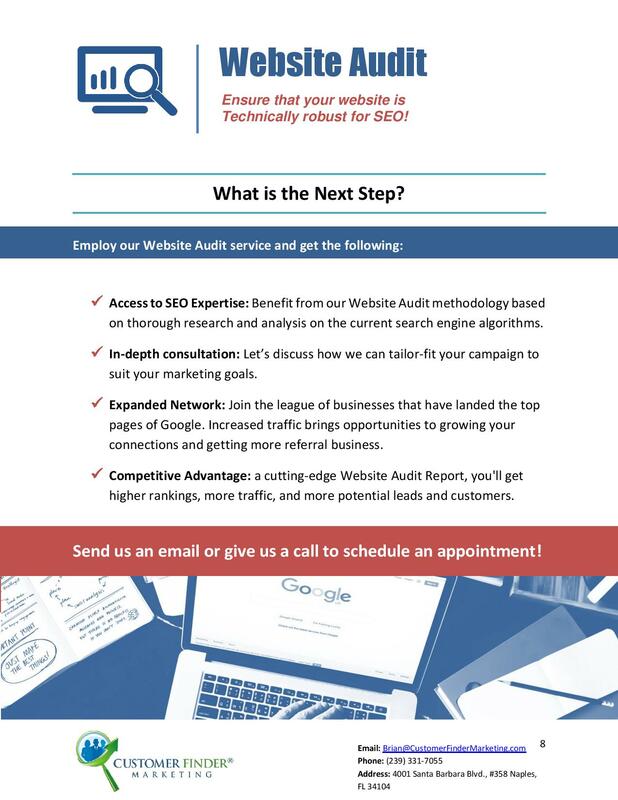 Once we see the results of your website audit report, we can customize your SEO campaign so you get the greatest return on your investment to get the most number of customers for your business. Since your website is the most important part of your online marketing strategy and where people usually go to find out about your company and contact you, make sure it gets corrected and tuned up to perform at its best. 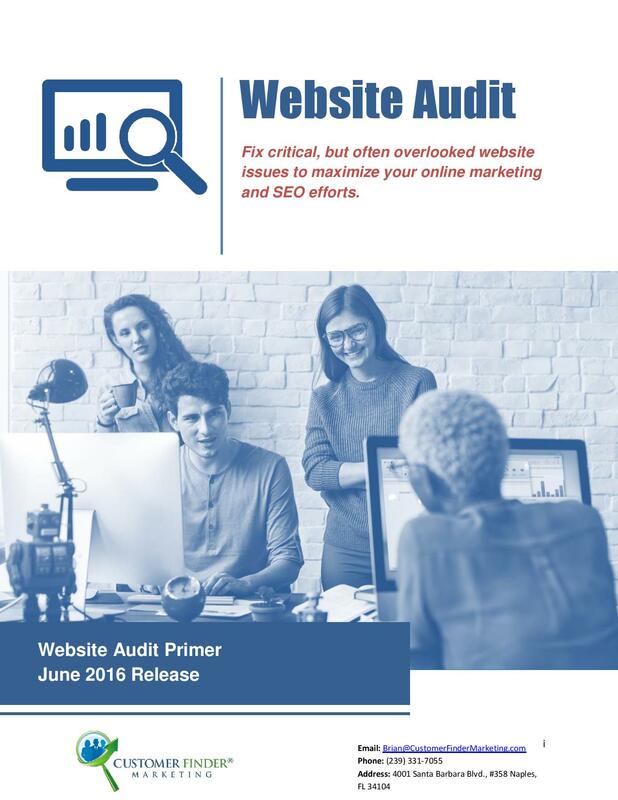 Our Website Audit Report finds all the problems within your website. We show you what it will cost for us to do the work to correct these problems within your website. Of course,you can have the corrections done by someone else of your choosing as well. Even worse, you may be spending precious time and money already for SEO, Pay Per Click – Google AdWords, or social media optimization trying to get people to go to your website which has a lot of problems. When they get there, they may decide that your website is not for them and they give it a click and move on to your competitor’s site before they even read anything on your site. This is such a waste of your time and money. 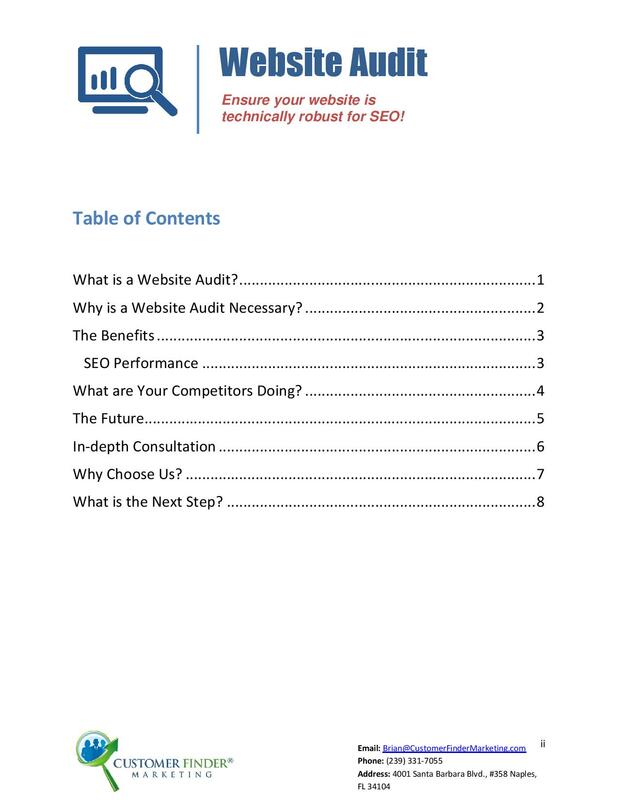 Get a Website Audit “checkup” Periodically. Anytime Google makes major algorithm changes, it may affect your site in a negative way. Let Us Find the Problems With Your Website Right Away and let us check it out to be sure it is still working correctly for you. 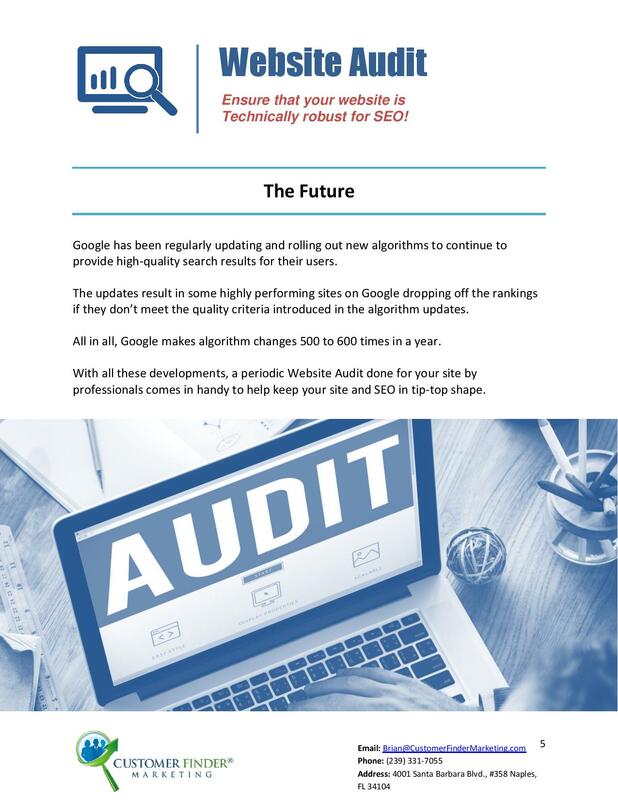 There are other benefits for your business when you have us do a website audit Your site will be protected from the changes Google makes on how they decide to rank websites. Google continually changes these parameters of measurement because of changes in technology and changing consumer behavior. And these factors will continue to change. So whether or not your competitors have pros doing marketing work for them, it’s a good idea for you to hire us to look into this crucial and fundamental part of marketing your business. There have been major algorithms changes by Google nicknamed Panda and Penguin, and others named Humming Bird and Pigeon. So far, there have been 25 Panda updates since 2011 and 3 Penguin updates since 2012. These changes have affected 41.4% of website searches. So if your site does not have fresh, relevant content on it, you run the risk of getting penalized by Google because your website does not make the grade. 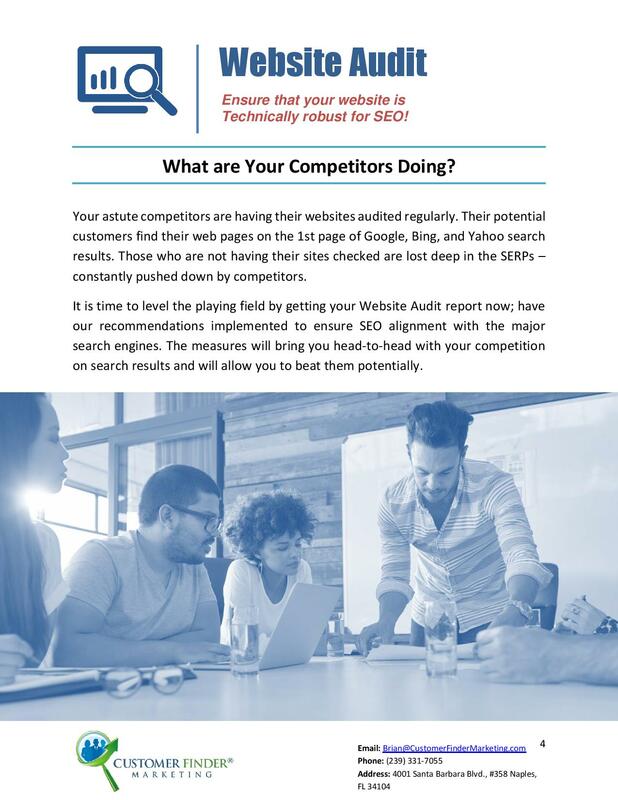 Let us help you stay ahead of your competitors so you make more money and get more customers – let us run a website audit report on your website! 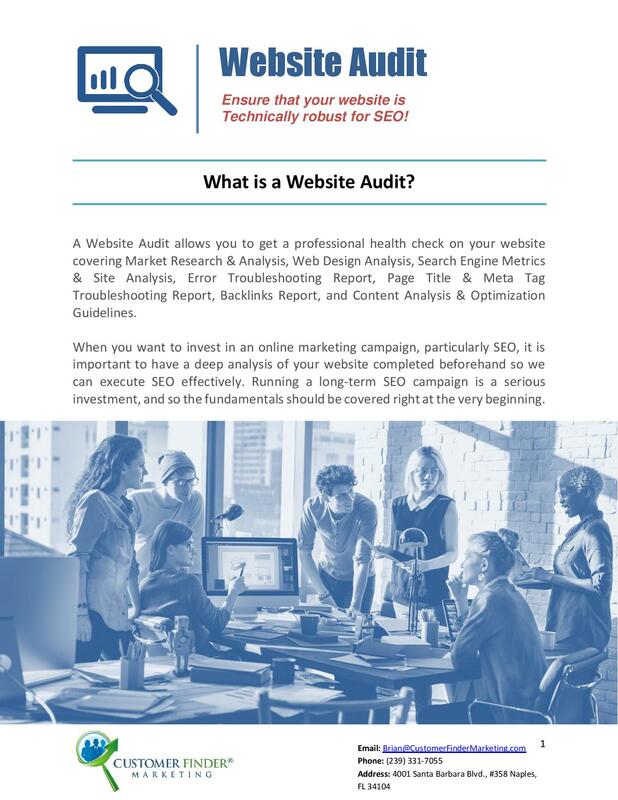 So that you have peace of mind, and so you don’t waste any more time and money – Contact us now or call us at (239) 331-7055 so we can audit your website today.